Teachers, Youth leaders, Cadet Forces,Volunteers, D of E or just improve your walking skill set. Get ready for the 2019 season early. An ideal and easily accessible location for anyone based in/around North and West Yorkshire, Lancs or the Yorkshire Dales to complete their training. This is a non-residential course run out of Upper Wharfedale School Grassington BD23 5BS. An ideal setting for the course where we can walk from the door. The course includes some early evening classroom work on day 1. Joining instructions will be emailed out to all candidates once they have booked. 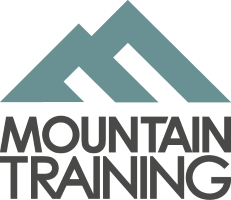 Please note you have to pre-register with Mountain Training and obtain a registration number before I can book you on this course. There are pre conditions to attending training, details which can be found on the MT website. This is not a course for beginners. For information I'm a very experienced provider and assessor of the Lowland Leader Award with over 50 successful training and assessment courses since its introduction in 2014. I will answer any queries about the course and registration/pre requirements. Just drop me a line at chris@chrisconleycoaching.com or call me on 0773 465 9033 for further details. Alternatively chrisconleyorg@yahoo.com Looking forward to hearing from you.